Over the past couple of winters I have reviewed lots of warm winter clothes. Some of these reviews were sponsored by companies and others were just products I had bought myself and was very impressed with. So with the winter weather well and truly here, I thought I would share my winter warmers with you. I always find my legs suffer the most at the yard. In particular my thighs and bum. I think this is simply due to how easy it is to keep you body warm and how my boots do a very good job of keeping my feet warm. 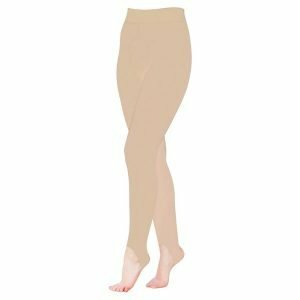 Over the years I have tried several tricks from tights, to leggings to multiple layers of breeches. But none of these things are as comfortable or as warm as purpose made clothing. So here are my favourite winter warmers to keep your legs warm! I think these are my favourite thermals for my legs. They are super comfy and this winter will be my 3rd winter with them. Yes they have started to show the wear now, with a small hole in the leg. But for around £15, that works out at £5 a winter! Which I think is pretty great value. Full Review. These thermals are still incredibly comfortable and have also lasted incredibly well. However, I don’t find them as warm as the other EqueTech thermals I have tried and they are also a bit more expensive. But being a thinner material, they may suit some people better. Full Review. I think these breeches are a fantastic idea. They are water resistant and fleece lined for extra warmth. However, they do come up quite snug. So much so that despite getting a couple of sizes up, they don’t give me enough movement to be able to school effectively. So they have only really been used for yard jobs and hacking. But they are incredibly warm! Full Review. I am fairly useless at covering up my top half. I get hot very easily, especially when I am active. So in the past I have tended to go for vests with coats over the top, unzipping the top half when I get hot. But after several winters of mystery chest pain, I have been diagnosed with seasonal asthma and I have realised I need to be a bit more careful and thermal base layers seem to be the way forwards for me! This has been my favourite base layer. It’s light enough that I am comfortable in it when we have surprisingly warm mornings. But it has also been super warm even on the coldest of mornings. I love the fibre technology which used friction to actually create heat! And despite the £50 price tag, I think all horse owners should look at adding one of these to their wardrobe. Full Review. 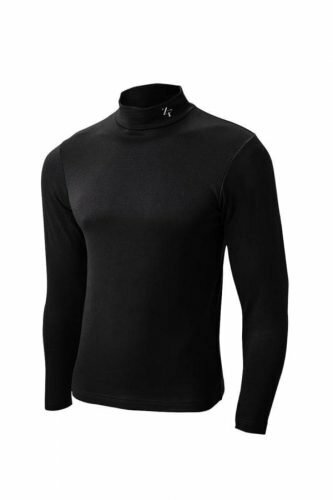 Another Heat Rub baselayer, this one also has the mazing fibre technology which generates heat to warm you up. But this one is a bit thicker and aimed at even colder weather. The only issue I have with this baselayer is that it I get a bit too hot in it if I am doing all of my jobs. And while it does a good job at whicking sweat away from my skin, I don’t feel it is quite as good as the Heat Rub Move. Full Review. 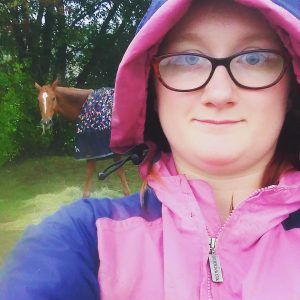 I really love the material of this thermal and think the fact that it can still work when wet is fantastic for a horse owner! While we never plan on getting wet, you can’t count on the British weather and you never know when an accident might happen (hunting dunking!) So I think this unusual working while wet feature is fantastic! However, much like the Heat Rub Ultimate, I just feel like it doesn’t quite compare to the Heat Rub move. But it is still a fantastic baselayer! Full Review. I think all but one of my yard coats are Mark Todd coats. I just think they are fantastic quality coats. 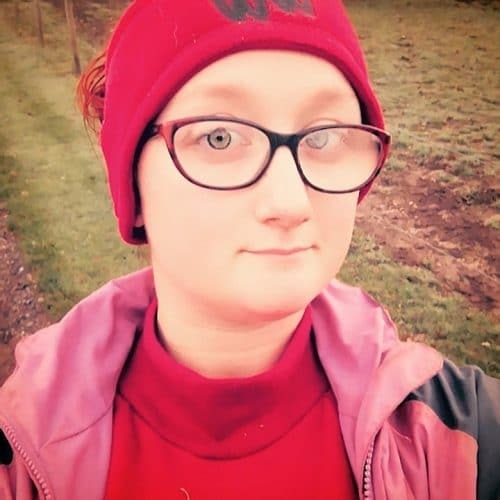 One of my Mark Todds is a lightweight waterproof and I have had it for over 10 years now and I wear it all year round. It has lasted incredibly well and I think I will always look at Mark Todd coats before any other brand as I have just had so much success with them. Full Review. I have had Mark Todd yard boots for the entire time I have owned Scottie. Yes I am now on my 3rd pair, but I have had Scottie over 4 years now, so I don’t feel like that is bad going at all, especially since I practically lived in them while I was University. They are very comfortable and very warm over the winter. I used to get terrible chilblains on my toes but I haven’t had them since wearing these boots through winter! Full Review.